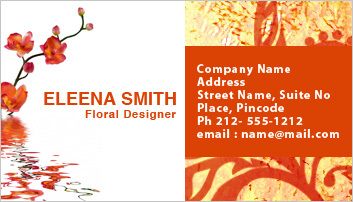 2 x 3.5 inches florist business card magnets with square cornered edges make a good promotional tool for florists who wish to seek easy attention. This magnetic promotional tool can be pursued in bulk and advertisers can seek discounts on customization fee. Customers, who receive it as a gift can also utilize it as a refrigerator art owing to the graphics imprinted against it.